Kirk Bell August 25, 2017 Comment Now! When an automaker says its concept vehicle is powered by unicorn farts, emits only cotton candy, and can accelerate from 0-60 mph in two shakes of a lamb's tail, don't believe them. What they are actually saying is, "If we ever develop the technology to build this thing, that's what it could do." The purpose of a concept car is twofold. First, an automaker wants to put out a design and see how the public reacts to it. If the feedback is positive, that vehicle or that design language could make it to market. Second, a concept car is a showcase for the technology a manufacturer is working on. It looks forward to a new era, be it in powertrains, connectivity, autonomy, interior motifs, or any other type of technology. By definition that means the technology doesn't exist at the present time. Volkswagen trotted out its I.D. Buzz Concept at the 2016 Detroit auto show. 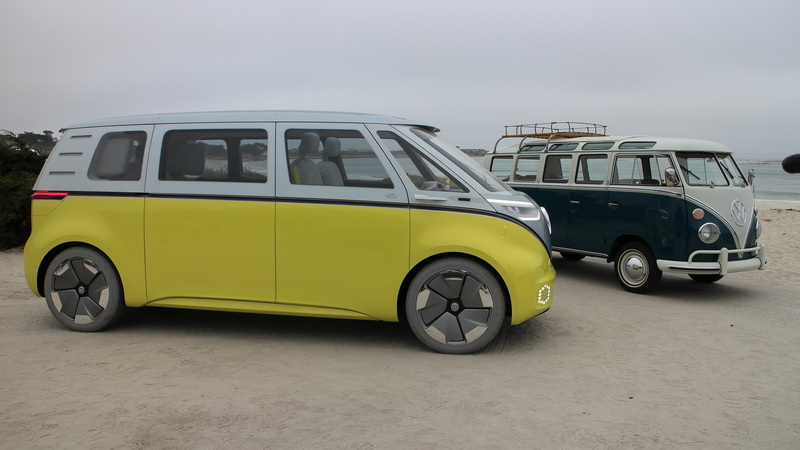 Another in a string of concept vehicles hinting at a return of the Microbus, this one has great retro lines, but what is more important is the powertrain technology. 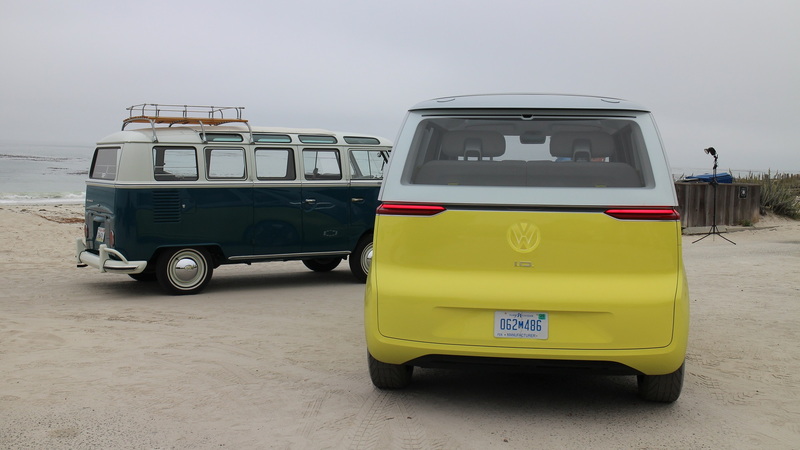 VW says the I.D. Buzz is based on a new all-electric MEB architecture that places the 110-kwh battery pack under the floor and features compact electric motors at the front and rear axles to enable all-wheel drive. Total output is quoted at 369 horsepower with a driving range of 270 miles on the European cycle. VW also says the I.D. Buzz can drive autonomously. The steering wheel retracts into the dash while the car drives itself, and at this point the driver's seat can be turned around so the driver can interact with people in the vehicle's rear lounge space. All of that sounds great, and the electric range and power aren't outlandish claims. In fact, Tesla can meet or beat those numbers now. 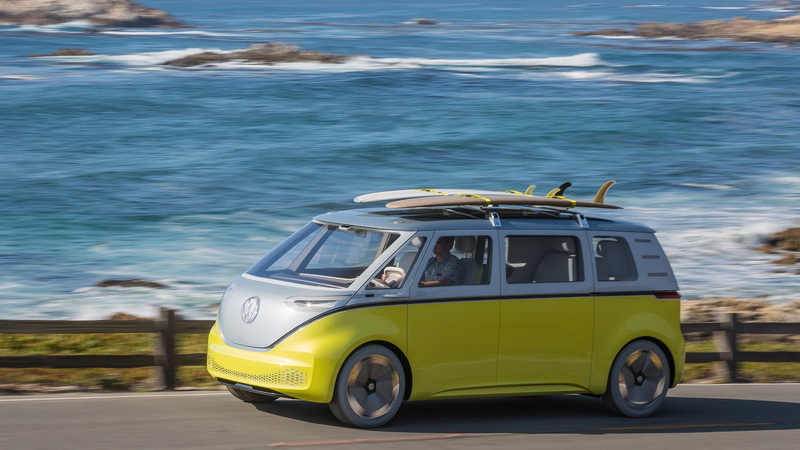 However, VW doesn't have the architecture, battery pack, motors, or autonomous driving technology ready to build such a vehicle, at least not yet. 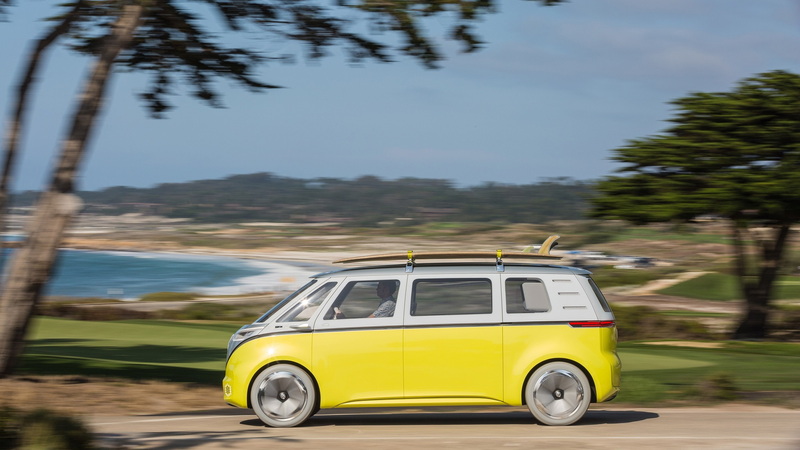 At the Pebble Beach Concours d'Elegance, Volkswagen announced that it will indeed turn the I.D. Buzz into a production vehicle with a 2022 release date. VW was also kind enough to let me drive its one and only concept vehicle. It was an opportunity I couldn't pass up, and it was the first time I got to drive a concept car after 16 years in the industry. Without all those pieces to build the I.D. 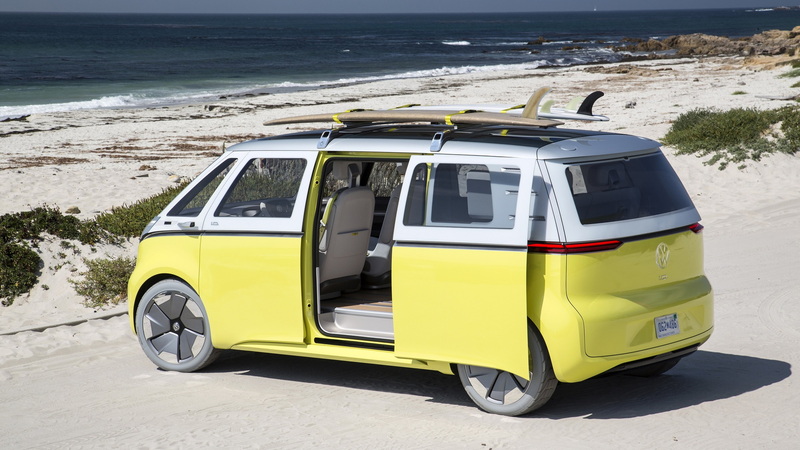 Buzz the way it wants to, VW had to cobble the concept car together. That meant a one-off structure, the powertrain from the e-Golf, and a set of prototype gray Hankook tires. The hand-built concept car only needs to drive under its own power and look good. It doesn't need to meet federal safety standards. It doesn't need to be well integrated to make customers happy with the driving experience. It doesn't need to perform well at highway speeds. And it doesn't need to impress with its speed, power, or handling prowess. Good thing because it does none of that. Driving the I.D. Buzz Concept is like glimpsing the future while driving the go-kart your dad put together from lawn mower parts on a welded frame of his own design. Hit the throttle and you soon find that power from the e-Golf battery and motor is only partially integrated. The e-Golf is rated at 134 hp and 214 pound-feet of torque, can reach a top speed of 93, and has 125 miles of range. The I.D. Buzz is limited to about 30 mph. After that, the throttle pedal simply does nothing. It has no brake energy regeneration, and the range is maybe 40 miles. Speaking of the brakes, the pedal in the I.D. Buzz is very touchy, as I learned with my first abrupt stop. The seating position is tall and upright, and you are confronted with that odd rectangular steering wheel. That tiller actually works fairly well, steering like any other round wheel, though perhaps a bit slowly. The ride is also awful, and it's probably due to those prototype tires. The tires aren't ready for use on the road, and the car handlers we spoke to said they were one reason the I.D. Buzz is limited to 30 mph. This thing rides like a buckboard, it creaks and rattles quite a bit, and the concept car's German babysitters didn't want me taking turns with much speed. Again, however, this van doesn't need to handle well or make passengers comfortable. It just needs to get onto and off of a stage. The I.D Buzz may be hand-built, but it has some pretty cool features that work quite well. The doors open and close with the push of a button from the inside, and from the outside it's a simple swipe below the door handle for either the front doors or side doors. The steering wheel retracts easily and the driver's seat spins around for the would-be autonomous mode, but the vehicle isn't equipped with that technology. To retract the steering wheel you simply press the VW logo in its center and watch it go. The seat will only turn once the steering wheel has retracted, and it only requires the push of button along the side. One of the great advantages of an EV is the fact that you don't need to make room for a large engine. The battery is located under the floor, which is the basis for a large, skateboard-like platform that gives the I.D. Buzz lots of interior space, especially in a box on wheels that is almost 16 feet long. That left room for VW to outfit it with lounge-like seating that can be reconfigured. VW also provides a rear storage compartment with a tablet-like controller that occupants can use to open and close the doors and handle other vehicle controls. The I.D. Buzz is basic and advanced at the same time. All of its electronics work well, which is a credit to the folks who built it. It doesn't ride or drive well, but it looks great, proves out its concept, and bodes well for the future provided VW can make the powertrain technology work. That shouldn't be a problem because it basically exists already over at Tesla. I just wish it wouldn't take Volkswagen five years to get it ready.